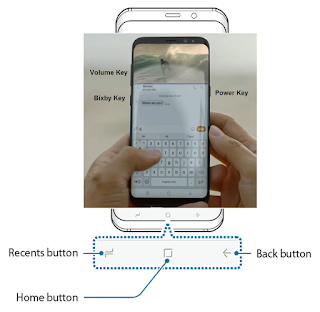 Galaxy S8 Layout and Functions - Here the layout Samsung Galaxy S8 / S8+ you can see the details of this phone to know the hardware locations and how it use. Connect the Micro USB connector to charge the battery with a Micro USB cable. Do not plug a Micro USB cable into your device’s multipurpose jack. Doing so may damage the device. 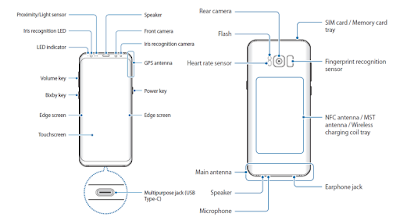 The supplied items are designed only for this device and may not be compatible with other devices. Appearances and specifications are subject to change without prior notice. 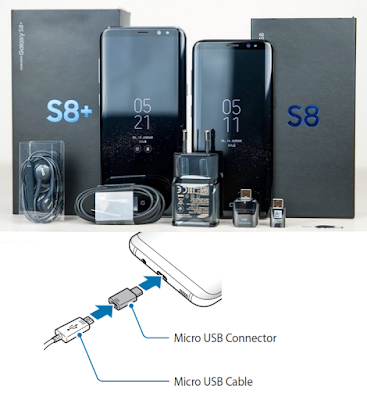 You can purchase additional accessories from your local Samsung retailer. Make sure they are compatible with the device before purchase. Availability of all accessories is subject to change depending entirely on manufacturing companies. 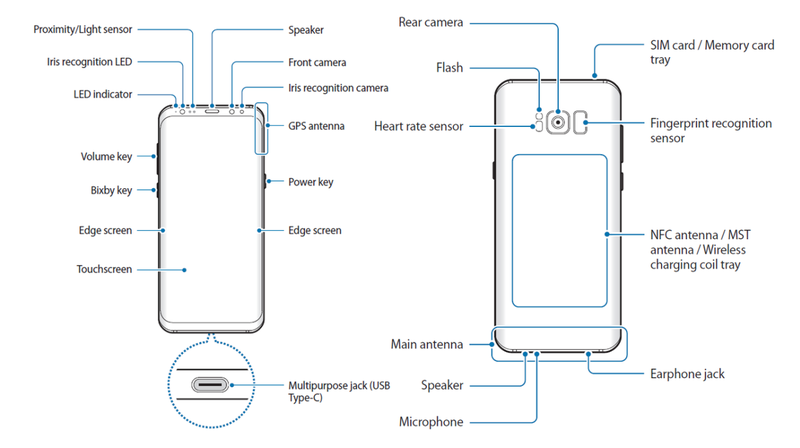 Do not cover the proximity/light sensor area with screen accessories, such as a screen protector or stickers. Doing so may cause the sensor to malfunction. The colours on the curved screen may look different depending on your viewing position. 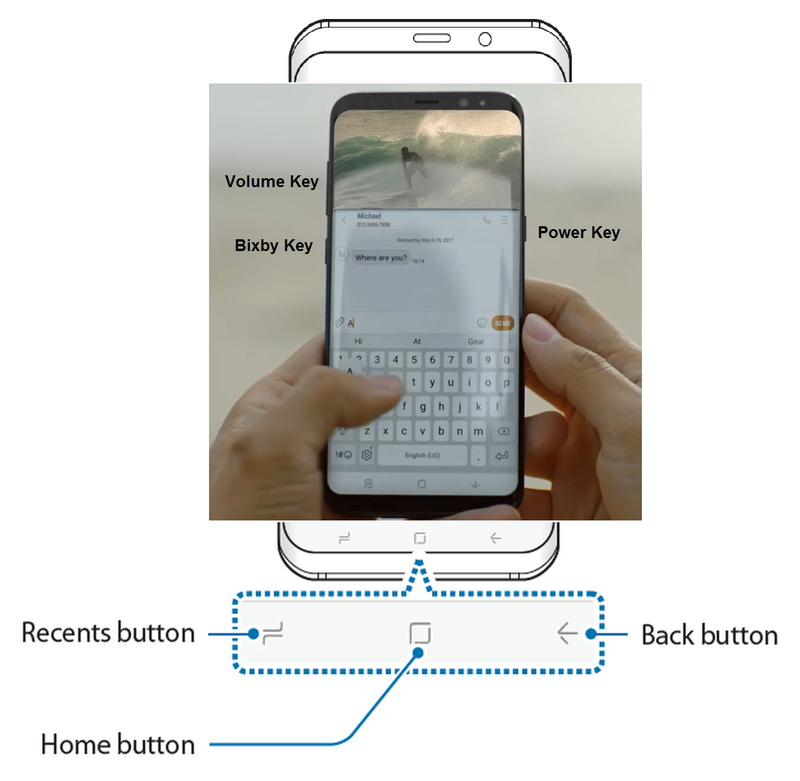 • Press to open Bixby Home.